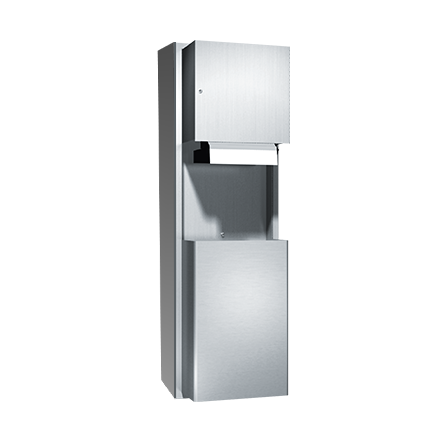 Automatic Roll Paper Towel Dispenser & Waste Receptacle, 110-240V / AC – Surface Mounted, 12 gal. Proximity sensing no-touch unit dispenses a pre-set length per cycle from 8″ or 9″ wide standard towel roll up to 800 ft. (244m) long and has stub roll capability for continuous dispensing. 12 gal. (46 liters) disposal capacity.